During Feb. 26th, 2019 - Mar. 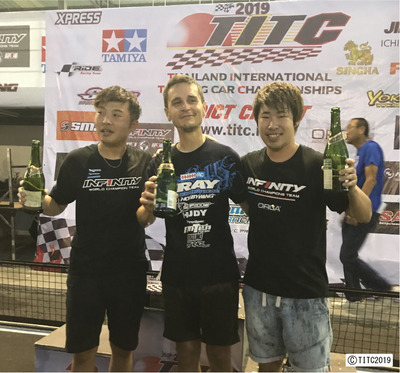 4th, 2019, TITC 2019 was held at RC ADDICT INFINITY CIRCUIT in Thailand. 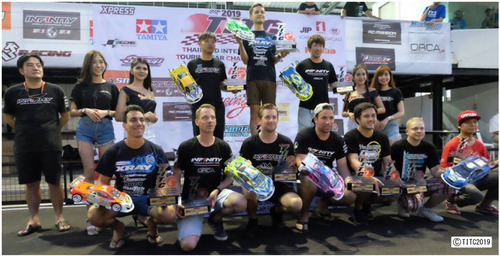 All podium drivers used SANWA transmitter and 9 racers in A-main used SANWA transmitter. 9 racers in A-main uses SANWA transmitter. Total transmitter rate by manufacture is in the below. Thank you for all racers, staff in TITC. Also, thank you for SANWA users support in TITC.